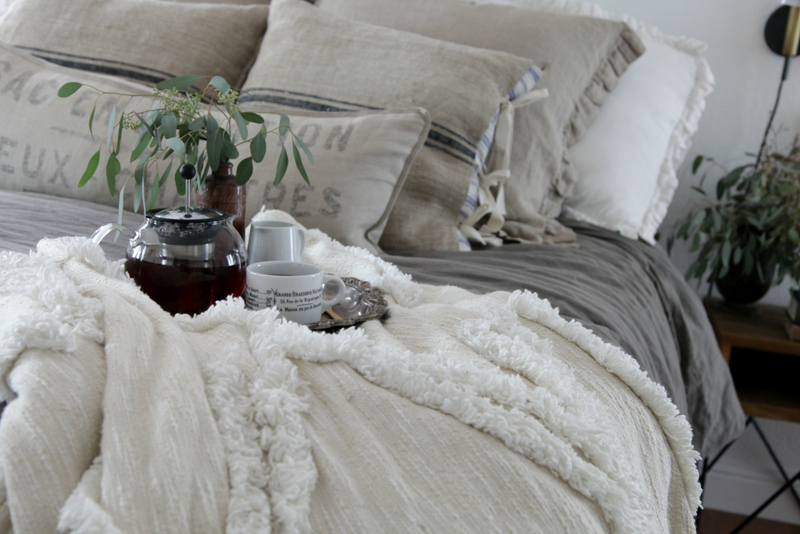 The weather is getting cooler and I can’t help but want to fluff our home, bring out the comfy blankets, put music on and have something simple and yummy on the stove. 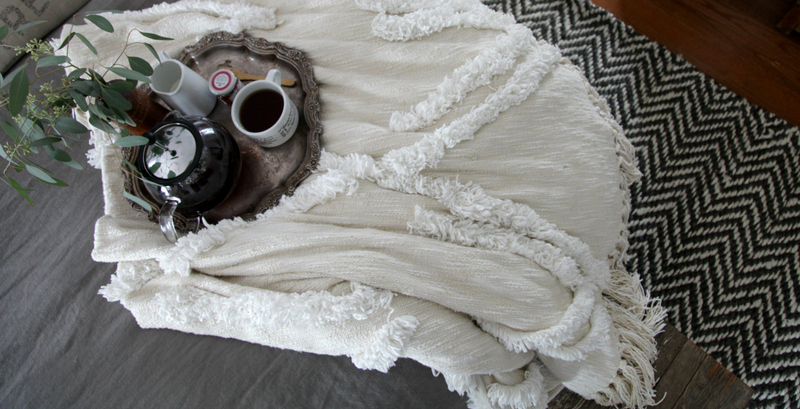 The holidays are around the corner and I like to keep things simple but cozy and welcoming. I want more than anything for family and friends to feel loved when they are in our home. 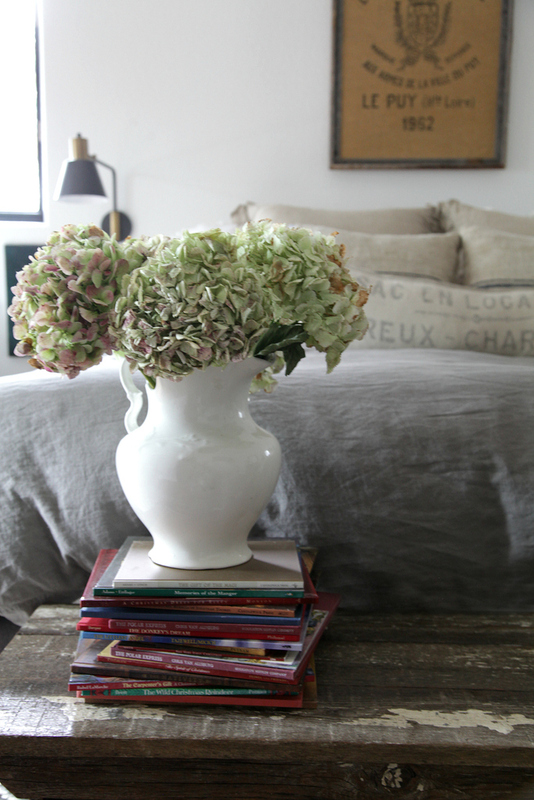 I love simple and natural in our decorating and I love to add greenery or simple white flowers, candles, pull out our favorite books, make our favorite recipes and bring in the pillows and blankets that encourage staying longer and relaxing. When I was younger I had boxes and boxes that I would get out during the year but now I find the simplicity to fit my personality the best. When the world can feel busy I like our home to be a place of calm. 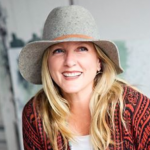 I have felt so honored to be included in Ella Claire’s Farmhouse Holiday Series and throughout the fall posts I have been blow away by the beauty and warmth that the other bloggers bring to their homes. 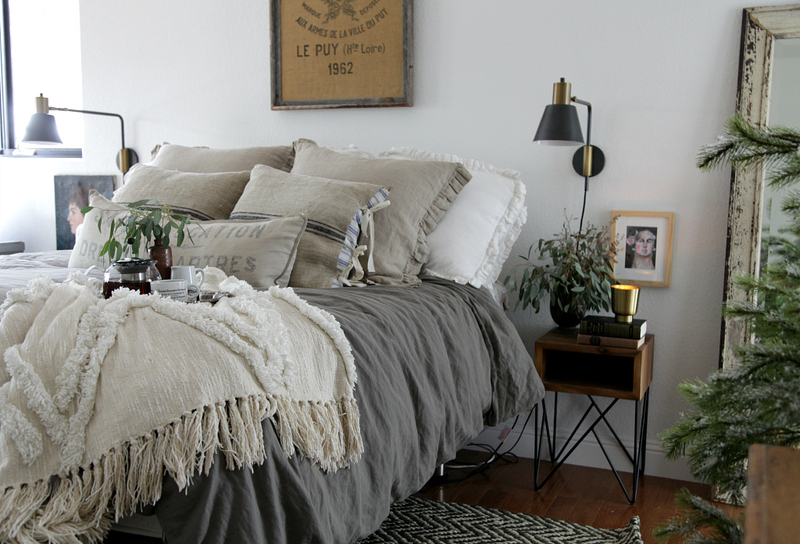 This week it is all about sharing your bedroom dressed up for the holidays. Our bedroom is where we find ourselves watching movies, giving back rubs to the kids, putting the fire on, nap taking and it also serves as an extension of my office. This has given me a warm, comfy and quiet place to write. I hope you share with me how you love to dress up your home during the holidays! Come and checkout the gorgeous bedrooms! 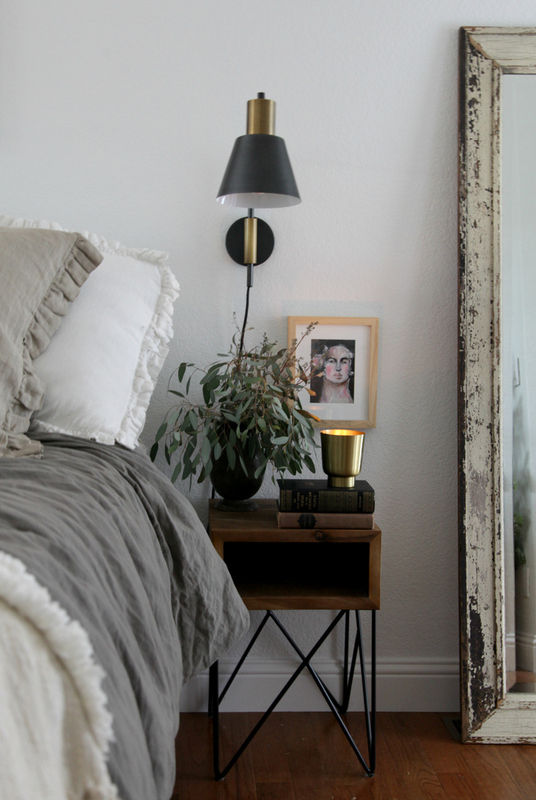 Where is your nightstand from? LOVE! Could you tell me where the blanket is from? Thank you. It is from Anthro. 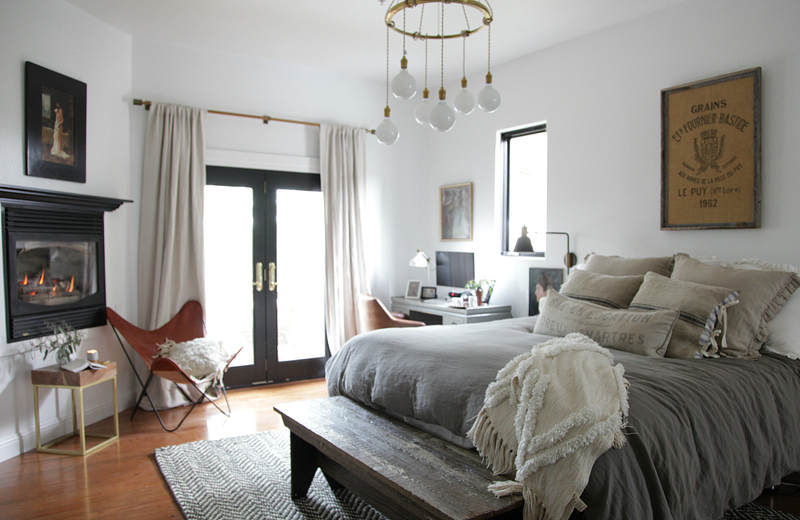 Love your sconces. Where are those from? Thank you. They are from Rejuvenation. 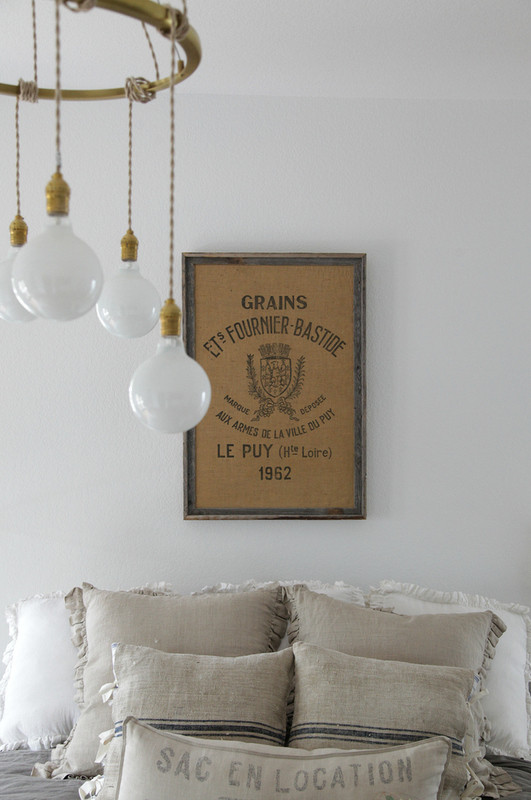 I love home decor and these fun holiday posts bloggers are putting together. Unfortunately yours is the only I read… I’ve looked at a few of the blog links shared, but am completely turned off by all the ads the bloggers allow. It completely takes away from the beautiful holiday photos, and is so distracting and frustrating to navigate, clicking my way through the posts. Thanks for not giving in to that Jeanne! It’s so nice to be able to enjoy your posts (ad free) and see your lovely home. Dede, thank you so much for loving what we do! I am lucky that blogging is not our business and we have never directly made money from blogging BUT these other ladies are hard working ladies and too and that is their business. If it is too hard to navigate their site nicely let them know and maybe they can find new ways to still have advertisers. We live in an awesome time where we can make a living using our gifts in unconventional ways. I get it Jeanne, and I hope the girls who use the ads are making a fist full of cash. I’m just sharing that there is a flip side to it as well. Wow!! I sure love your decor style! 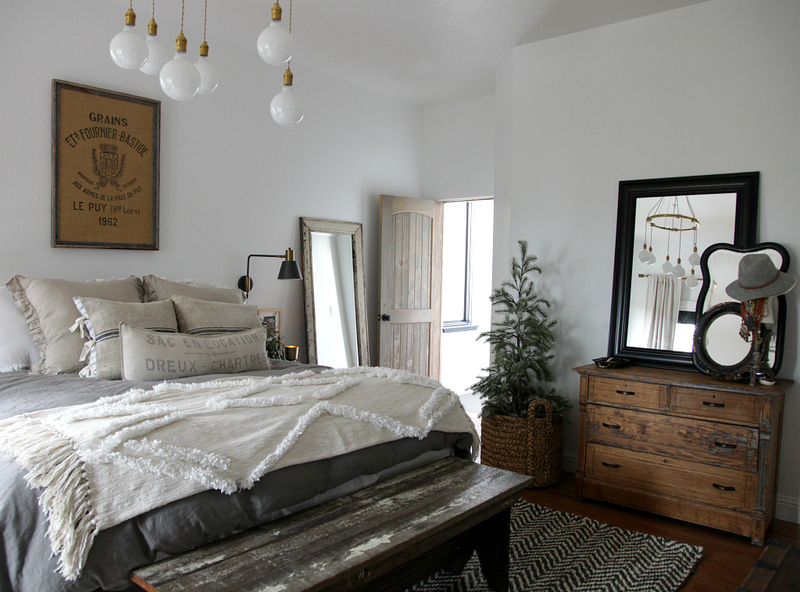 It’s cozy, simple, beautiful, chic, rustic, elegant, it’s great!!! I agree with the Dede, i can’t even navigate thru the other bloggers because. of all the ads. 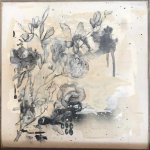 Thank you for sharing where your decor comes from as well. So many bloggers never share where items come from. Beautiful!! Thanks for the great inspiration! Oh! Where is the chandelier from? It is from Schoolhouse Electric. Beautiful – and I can just feel and smell the Colorado air; I miss the mountains!! 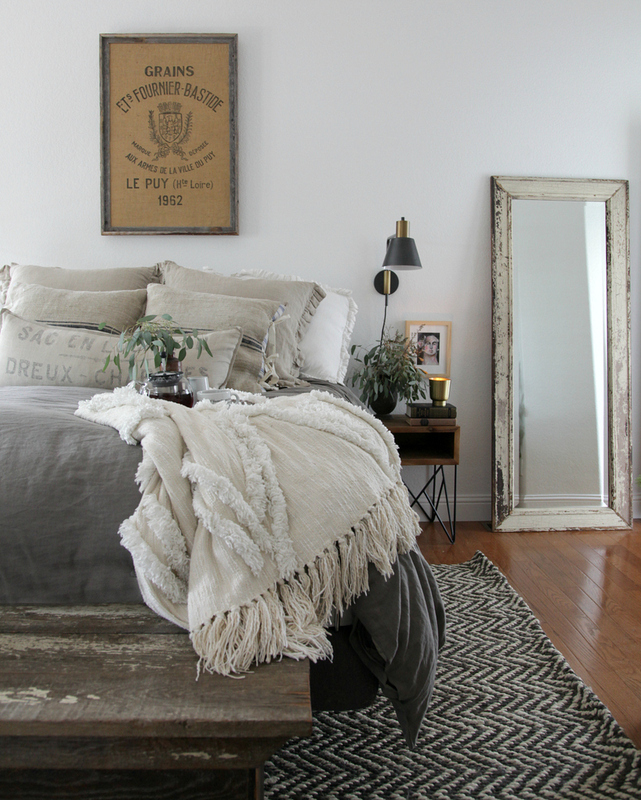 So beautiful, cozy and it feels like you really live here! Many rooms I see online seem more like a showroom. I love your style of decorating. I also appreciate so much your willingness to share where things are from. I read through the comments and didn’t find where you got your bedspread/duvet. Would you mind sharing where that is from as well? Can you share where you got your Euro pillows from and that long one in the front? 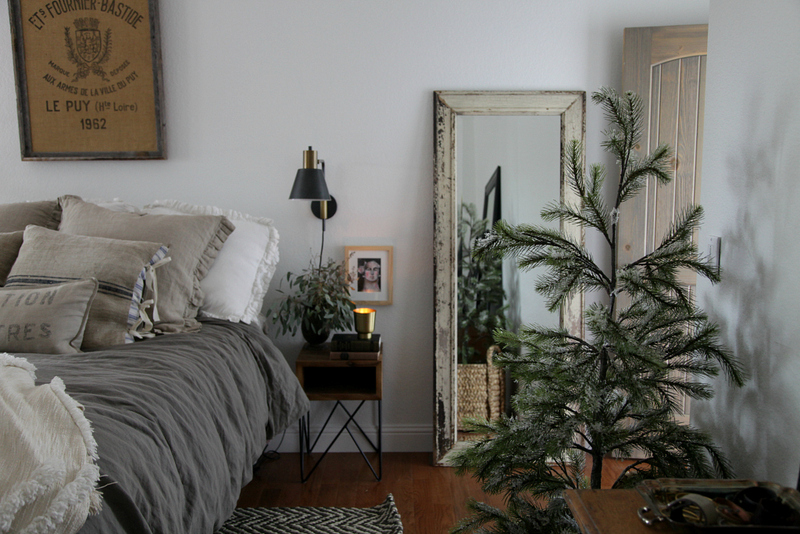 Found your blog through the Holiday Housewalk and I’m smitten with your bedroom. Beautiful yet simple and best of all calming. I’ve always wanted an all white bedroom but with two big labs (who also love my bed) white won’t work. Grey will, and I just love your grey duvet. Would you help a gal out and share a source? Thanks so much. I found it on a different post (I promise I looked prior to commenting!) 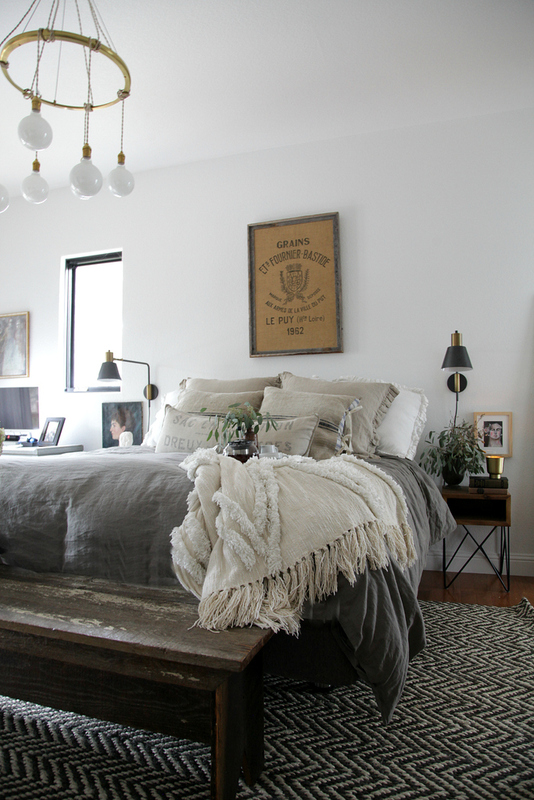 The duvet is from Restoration Hardware and the ruffled shams are Carolyn Westbrook. Yeah! 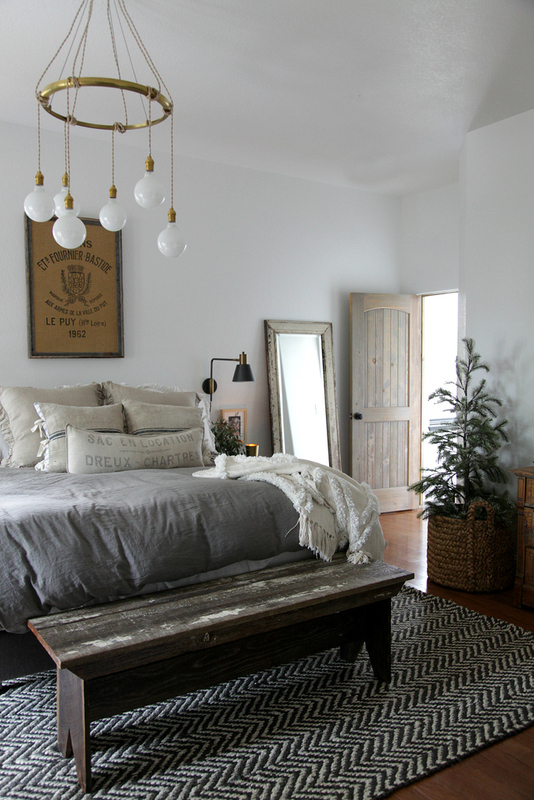 Hello- Beautiful Room! I’m trying to find that rug on Birch Lane, but I’m not having success. Do you recall the name of it?